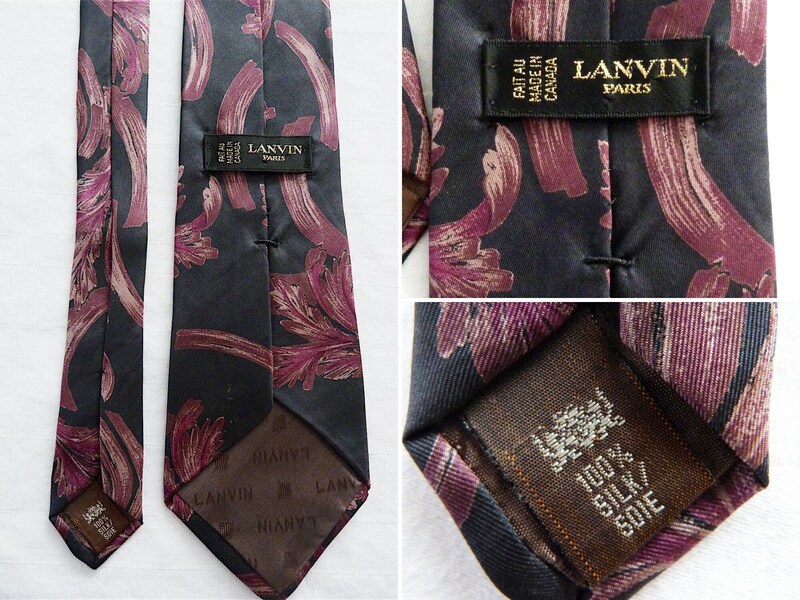 Luxury ready-to-wear silk tie by French Designer label Lanvin, Paris. 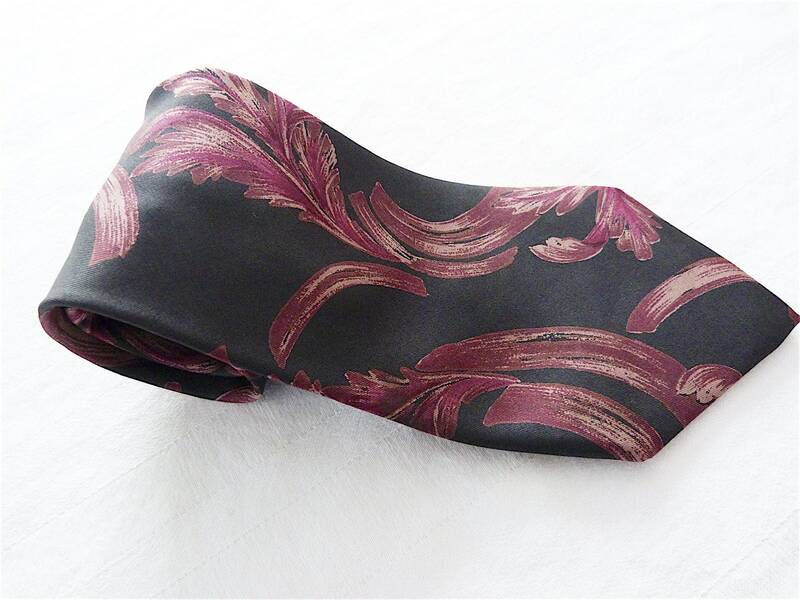 A gorgeous silk fabric with plum color vegetal prints on a black background. Sober, discreet and elegant. 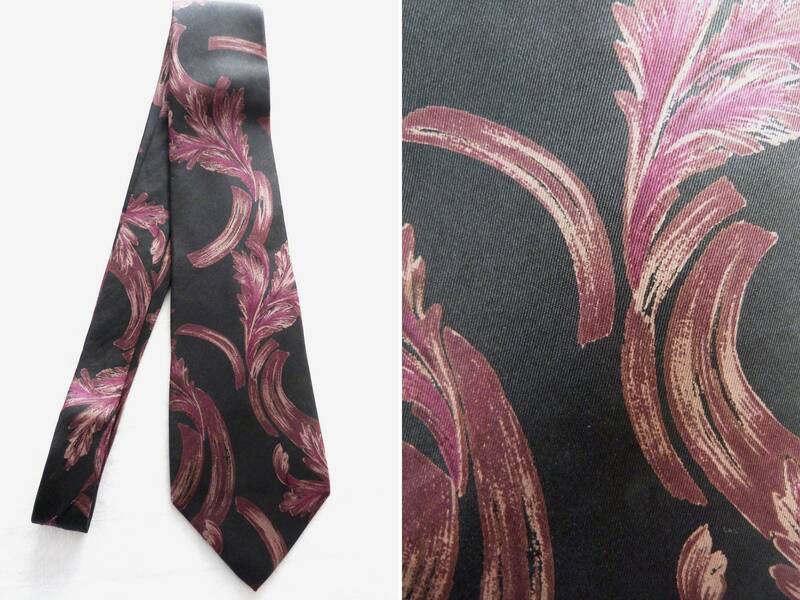 The plum color brings a touch of life to fit with a wide range of colors. A great quality- it is feels silky soft and light and carefully made with attention to details.